CFG’s SpecialCare Planning team’s mission is to make a positive difference in the lives of individuals with a special need, their caregivers, and their families. 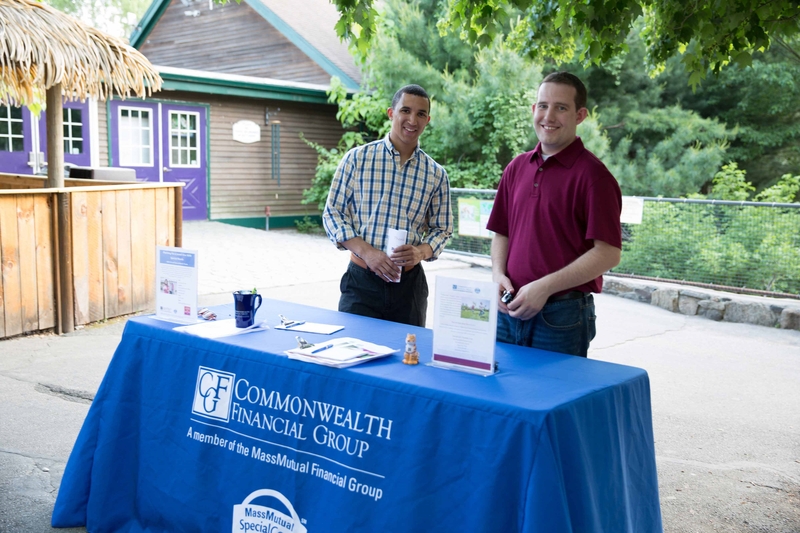 Our Managing Partner, Eric Spindt, and Marketing Director, Elissa Bosley, brought the program to CFG in 2014, and we have been invested in this community since then. Our program is devoted to supporting the special needs community through volunteer efforts, educational workshops, collaborations with non-profits, and sensory friendly events for families. Below is an interview with a couple of the team members about why the program is so important to them. Why is being a part of the SpecialCare program important to you? The SpecialCare program is an opportunity to be an advocate for our clients and help them get the resources they want for their child today and well into the future. Why did you want to become involved in the program? When my son was four years old, we had our first Individualized Education Program (IEP) meeting at his preschool and I was able to experience first-hand how overwhelming a special education can be. It opened my eyes to the fact that there are thousands of families out there that need help when it comes to their child’s future. What is the best part of being involved in the program? The best part is when we get to volunteer and spend time with the community. We’ve been kayaking, played kickball, played basketball, and been to the movies. The smiles and the appreciation are what it is all about. What is a favorite volunteer moment for you? Kayaking with Waypoint has been the best experience. Helping their participants experience kayaking on the Charles River and then again in Boston Harbor was awesome. Those few hours on a Saturday were filled with smiles and laughter. How do you see this program being a part of your practice in the future? There are more than 163,000 students in Massachusetts public schools with a disability. I believe we can be #1 when it comes to helping this population of people plan for their future. It’s important to me because it’s an opportunity for me to give back and be a part of an amazing community of people that I otherwise would not have met. Through this program I’ve met some really amazing people and developed some lifelong relationships. I used to be a teacher and a lot of what I miss about teaching is helping children. Through the SpecialCare program I get to teach and help people that are truly in need of it. One of my close friends has special needs. I grew up with him and always remember his parents doing so much for him but were never able to get it done all in one place. Through this program I can be a one-stop resource for these families, not only financially speaking but connecting them to resources outside the financial scope. The volunteering is a blast and meeting new people, but for me it’s educating the families and parents that I find the most rewarding. Financial planning is very stressful for these families and letting them know what options are out there is the best part. Kayaking was a blast and going to the SouthWick zoo is a favorite of mine-- we’ve done it for the past two years. It’s amazing to see their faces light up when they see all the animals, and its great because they have the zoo completely to themselves. I definitely plan to stay in this program and the special needs community indefinitely. It’s an honor to educate and enable these families—I can’t see my future without this program.